PlayStation Move: Coming to a PC near you soon? Sony looks set to announce plans for its PlayStation Move controllers to work with desktop PCs at Game Developers Conference 2011. Details of the company's session at the conference were revealed in the show line-up, including a direct reference to the Move Server project. 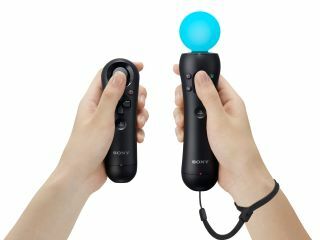 The talk synopsis reveals that Sony "will discuss the Move Server project that will make it possible for academics and hobbyists to develop software using the PlayStation Move controller on their own PCs." The obvious conclusion to draw is that Sony has seen all the impressive Kinect hacks coming out recently and wants PlayStation Move to get in on that action. Keen-bean PC enthusiasts didn't take long to unofficially hack the Kinect to work with computers and laptops, finding uses for motion-based control as incredible as creating surgical robots and as mundane as playing large-scale Angry Birds. Microsoft is also said to be planning a PC tie-in for its motion-controlled Kinect interface, with a beta rumoured to be coming soon. Sony better hope its PlayStation Move Server gets in there first.